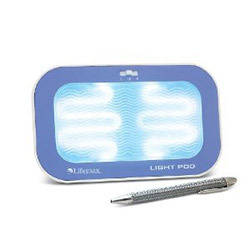 Lifemax Light Pod 107a SAD Light Box is a portable SAD lamp that does a great job in treating the symptoms of Seasonal Affective Disorder (SAD) by simulating natural daylight. The Lifemax SAD lamp has two levels of brightness and utilizes blue light spectrum tubes. It is efficient in bringing the daylight into your home, even without the sun, to combat winter blues whilst working or relaxing.